These will help you recall the fond memories of the things you did, the places you visited, and the people you met. Souvenirs from the Philippines will remind you of your stay here. Walk down memory lane and recall the fond memories of the things you did, the places you visited, and the people you met. Do what Filipinos do when getting back home bring a “Pasalubong,” gifts or presents. Your friends and kinfolks will appreciate souvenirs from the Philippines. This will give them a glimpse of what the country is about. Each of the 7,641 islands has their own version of mementos that will make your head spin. 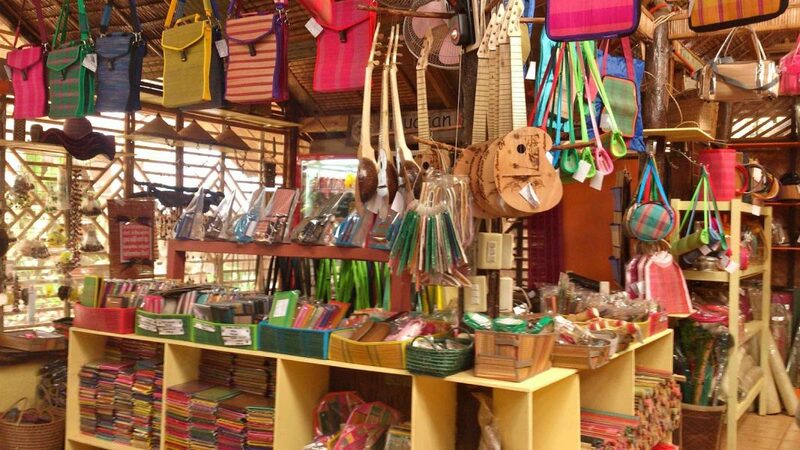 So, we chose the 9 best souvenirs from the Philippines to help in your choice. People who love music will adore this souvenir. A native musical device made from a carved piece of bamboo. It is a jaw harp found all over the Philippines. Hold the instrument with the bamboo tongue touching the mouth. Hit the left end with the right thumb which will cause the bamboo tongue to vibrate creating a sound. Produce tones by changing the size of the mouth opening. Also breathe in and out to change the volume. Once you get the hang of it you’ll produce a melody. The Philippine mango is known worldwide for sweetness and silky texture. You can find the best mangoes in Guimaras, Zambales, and Cebu. They preserve it as a dried fruit to hold the full intensity of the flavor. Eat dried mangoes as a snack or use it to top your ice cream. It is chewy and leaves tartness in your mouth. An alcoholic drink that comes from the sap of a coconut tree. It has an alcohol content of 30 to 50 percent like rum or whiskey. It is pure, has a neutral flavor, colorless, packs a wallop, and sweetness. The locals soak raisins or prunes to add flavor but you can use other fruits. Also, you can mix the lambanog with fruit juices to come up with good-tasting cocktails and blow your guests. Piña fabric comes from the pineapple plant and is soft and translucent. Only a few families weave this fabric using a traditional handloom. Hence, the fabric is pricey and worn on special occasions. Use the Piña cloth to make the Barong Tagalog for males and the Terno for females. Filipinos consider this an heirloom. Usually. the father passes the clothing to his son to wear on his wedding day so does the mother to her daughter. You will stand out in this outfit. A jeepney ride is a popular mode of transportation in the Philippines. Jeepneys are remnants from the American military jeeps during WW II. You can see it anywhere in the country with the body full of odd trimmings that come in various colors and designs. A great way to remember your stay in the Philippines is to bring back a mini jeepney. Builders use wood, metal or both to prepare the model. The Philippines is one of the top producers of fine pearls in the world. Lovers of fine jewelry will surely like to wear the pearl as a necklace, ring, bracelet or earrings. Wear as you bought it or customize it doesn’t matter you will still look gorgeous. To be sure the pearl is real a mark is left after a scratch or a bite. The mark disappears after you wipe it, also it has a sandy feel. Tikog is a grass that grows in the swamp near the ricefield. The locals dry and use it to create handicrafts like slippers or flip-flops, decorations, and adornments. Tikog slippers is a comfy partner to your feet on any walk. Get trendy with its vibrant colors and good-looking designs. The product earned international recognition with exposure in magazines, websites, and other printed materials. Coffee lovers will delight in the taste of Alamid coffee, locals call it Kopi Luwak. One of the most sought-after brew by experts, it has a hefty price tag and proudly made in the Philippines. The process starts with the Alamid, Palm Civet animal, stuffing themselves with the ripest and finest berries. Their digestive tract disrupts the chemical composition of the beans producing a unique taste and aroma. The Alamid excretes them in the morning, pickers gather, dry, roast, and package these. A unique souvenir that is for adults only. A wooden man is encased by a wooden barrel covering his manhood. In fact, the fun is just beginning. When you raise the barrel a massive body part follows in all its glory drawing shrieks from the womenfolk. A nice present to people who loves surprises with a good sense of humor.